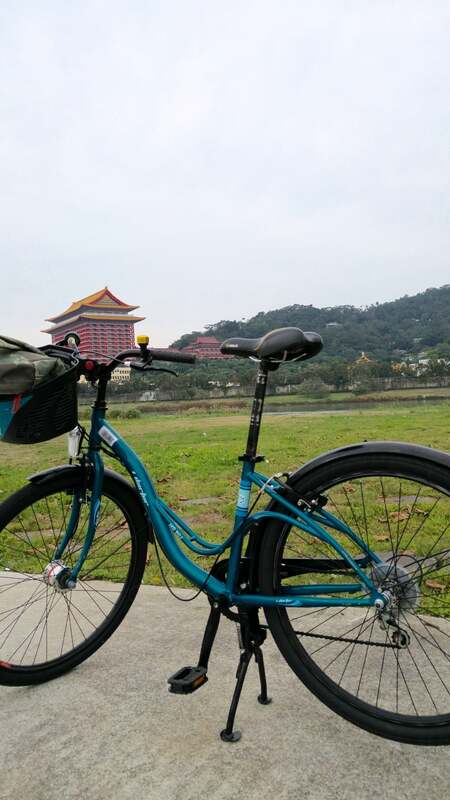 2016/01/10 what a nice day to ride bikes in Taipei after all those rainy and cloudy days during the week! We met up with our best friends in Taipei after church in order to pick up my ordered secondhand Kindle, and of course hoping to enjoy a biking ride together in our favorite beautiful riverside bikeways that Taipei has to offer. You cannot spell LOVE without Velo!! Taipei is the capital city of Taiwan, so as you can imagine it is full of people, traffic, business, tourists, and mostly crowded all the time, not to mention the most famous landmark Taipei 101. 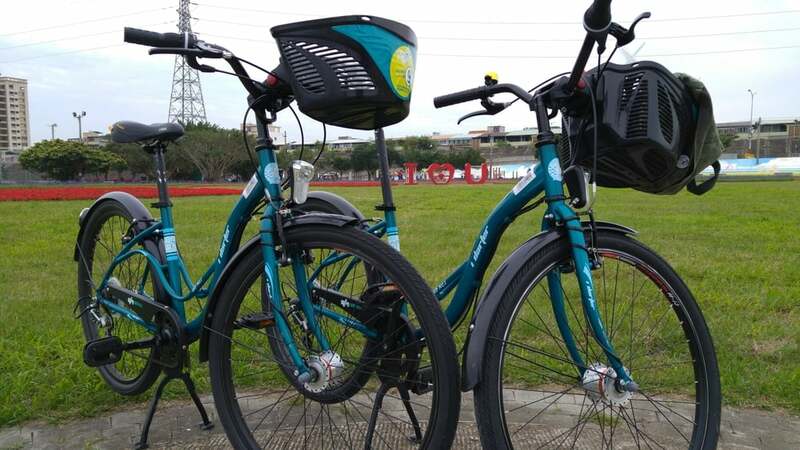 But if you are trying to find a nice and peaceful place to spend your weekend or pure relaxation during your trip to Taipei, we highly recommend to hop on a Youbike or rent a bike and ride along the riverside bikeways that Taipei has prepared for you. 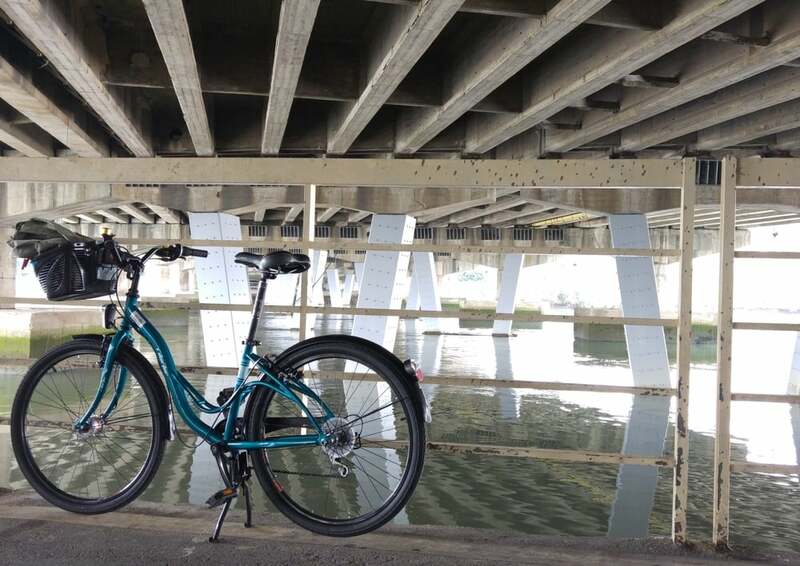 Rental bike with 6 speeds, good enough for strolling along the riverside! Bike rental is relatively easy here. All you need is an eligible ID or passport, and if you come in group one ID can rent for a max of 5 bikes at the same time. Today, we rented a bike with six speed and it is only 130NTD (4USD) for three hours. Some rental station also offers A-rent-B-return program, so you can enjoy the full bikeway without worrying the return journey. Riverside bikeways are combined with Parks and are suitable for families or friends who just want to have leisure rides. Many people are doing picnic and kite flying besides biking. We really enjoy a wonderful trip with friends and have a chance to take some good photos since they are the professional photographers. 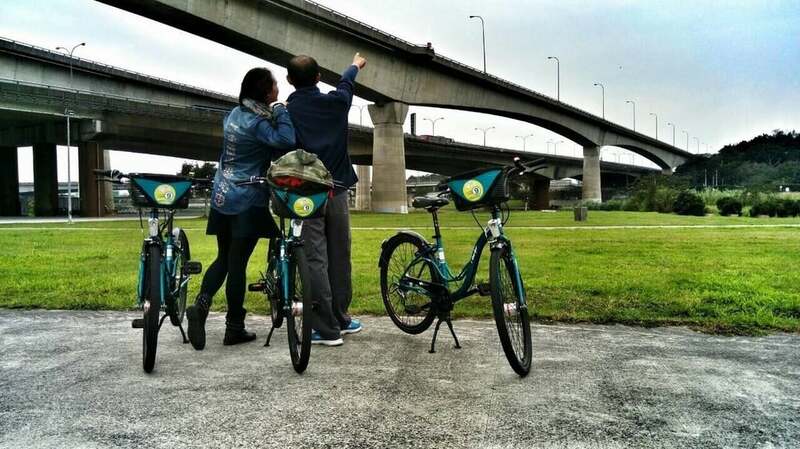 This biking trip starts from Dajia Riverside Park and to Beitou traditional market and then same way back. Not very intense ride but many beauties to see. Thank you, Candy and Simon for joining this beautiful afternoon Biking Taiwan section!